Like to use Camera Raw? 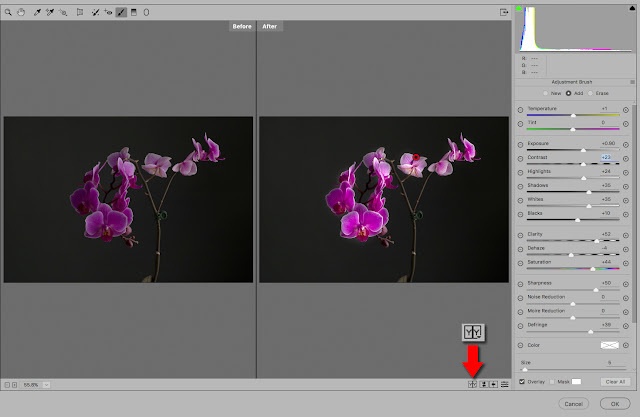 You might of missed this great little Preview tool in Camera Raw. While you are editing, take a look at the very bottom of the screen. There is a wonderful little Before/After viewer to allow you to see your original work and the changes you are making. Keep clicking the icon, to go back to its default view. This preview tool allows you to see what the image looked like before making the adjustments. This is a great little tool that you'll not want to miss!